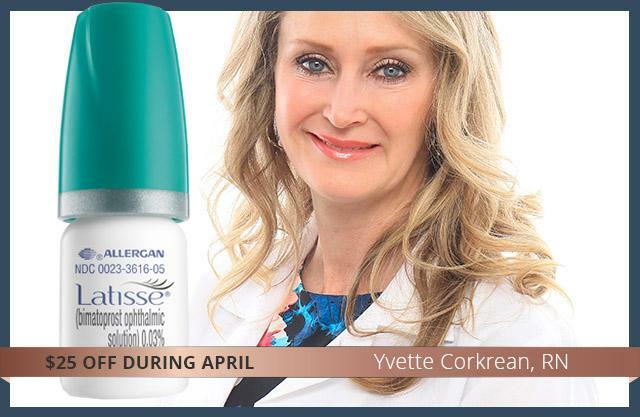 Our April Staff Product Pick is recommended by Yvette Corkrean, RN, Esthetic Nurse Specialist at our San Francisco location. "I believe the best beauty enhancements look natural and undetectable - why I use Latisse to lengthen and thicken my eyelashes. It’s also easy and quick to use, perfect for people who don’t have time for lash extensions." During April, receive $25 off Latisse for longer, thicker lashes. In beautiful Downtown Larkspur or Hayes Valley? Stop in for more information - walk-ins always welcome.